A visit to Egypt, the great land of Pharaohs, is an experience that anyone that has done the trip will cherish for the rest of their lifetime. Egypt’s proximity to Cyprus makes this an easy trip from Larnaca or Paphos by air. The rich history of Egypt has left a vast array of monuments that you certainly do not need to be an archeologist to appreciate. From the World Heritage Pyramid Plateau to Ramses the II statues at Abu Simbel, Egypt will amaze you and make you stand in awe in front of the monumental remains of a culture that started to leave its mark in the early fourth Millennium B.C. History is not, of course, the only reason to tour Egypt. A Nile river cruise offers the traveler glimpses of the natural beauty and the stark contrasts that make Egypt what it is. 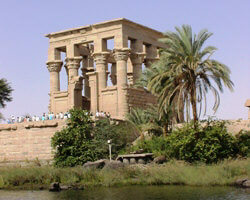 Nile cruising is also one of the most comfortable ways to tour Upper Egypt. The standard of some of the riverboats that gently glide the Nile waters are high with some of the boats managed by international hotel chains such as Movenpick and Sonesta. Trips to Egypt from Cyprus can also usually be made by cruise boat from Limassol but unfortunately not for 2019. To see possible trips by boat out of Cyprus please visit our site’s cruises section. Have a look at our holiday packages to Egypt from Cyprus below and contact us by email or call us at +357 22680500 to make a booking or ask for more information. This seven nights / eight days cultural package is the best way to see the most important of Egypt’s impressive cultural treasures and at the same time relax by cruising the Nile. The tour’s highlight is a 4 nights/ 5 days Nile Cruise from Luxor to Aswan which includes land excursions to the Luxor and Karnak temple, the Valley of the Kings, Kom Ombo, Edfu, Aswan, the High Dam and the Temple of Philae. The tour also includes one night at a five star hotel in Luxor and two nights in a four or five star hotel in Cairo with a full day tour to the Pyramids and the Cairo archaeological museum. Departure is from Larnaca airport in Cyprus. Tour price includes Larnaca – Cairo – Larnaca airline tickets, domestic flights between Cairo and Luxor and Aswan, most meals, entrance fees and English speaking guides to sites. Accommodation is in four or five star hotels and cruise ships. All transfers are with air conditioned vehicles. See more detailed program and prices of this package to Egypt here. Call us at +357 22680500 or email us for reservations or more information. Two days, one overnight and see the Pyramids. The Cairo Express is an ideal option for the tourist visiting Cyprus or anyone who does not have the time for a longer package. A full day tour covering the Sphinx, the Pyramids and the Cairo archaeological museum is included during the second day of the package. Optionally you can include a dinner with a show on a Nile cruising restaurant to complete your day. Accommodation is in a good standard four or five star hotel and all local transfers in Egypt are included. Departures from Larnaca to Egypt are on Wednesdays, Thursdays or Fridays. Find out more about this tour on our Cairo Express page here. Similar to the above mentioned Cairo Express trip, this is a more relaxed trip offering an extra night in Cairo and a chance to see more. The late afternoon departing flights get you to Cairo in time for a dinner and show on a Nile cruising restaurant (optional). A full day tour covering the Sphinx, the Pyramids and the Cairo archaeological museum is included during the second day of the package. The highlight of this three day trip is the Giza Pyramid Light and Sound show. If you wish you can have instead a relaxing dinner with a show on a Nile river boat restaurant. Accommodation include good standard four or five star hotels and all local transfers in Egypt are included. Departures for this package to Egypt are every Monday, Wednesday or Friday. Find out more about this tour on our Cairo Spectacular page here. Take advantage of the available convenient flights between Cyprus and Egypt and visit one of the world’s most important capital for tourist during any long weekend. 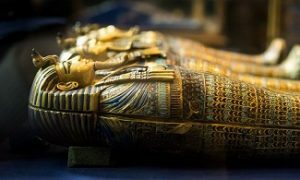 You will have the option to see some of the most historic monuments and artifact plus more… Our Cairo Long Week End package includes, among others, visits to the Pyramids and the archaeological museum. 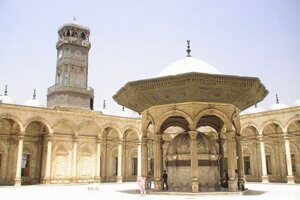 Options to do more like visiting the famous Hanging Church and Islamic Cairo are also available. Flights depart Larnaca airport on Thursdays and return is on Sundays. Prices are subject to availability. 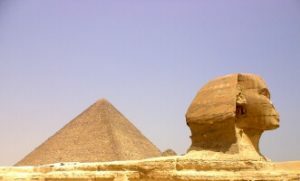 You can get more information on this package on our Cairo Long Week End package page. 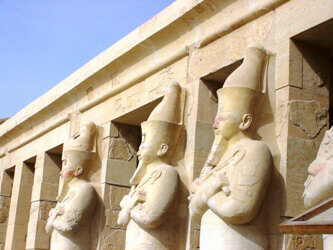 This well planned tour gives you one intense and full day at Egypt’s capital city of Cairo. It covers the basic “must see” attractions with visits to the Sphinx and the Giza Pyramids as well as Cairo’s archaeological museum. Unfortunately this tour is not running at this time. Prices include pick up and drop off from/to most hotels in Cyprus. Get more details on our Cairo Close Up page.